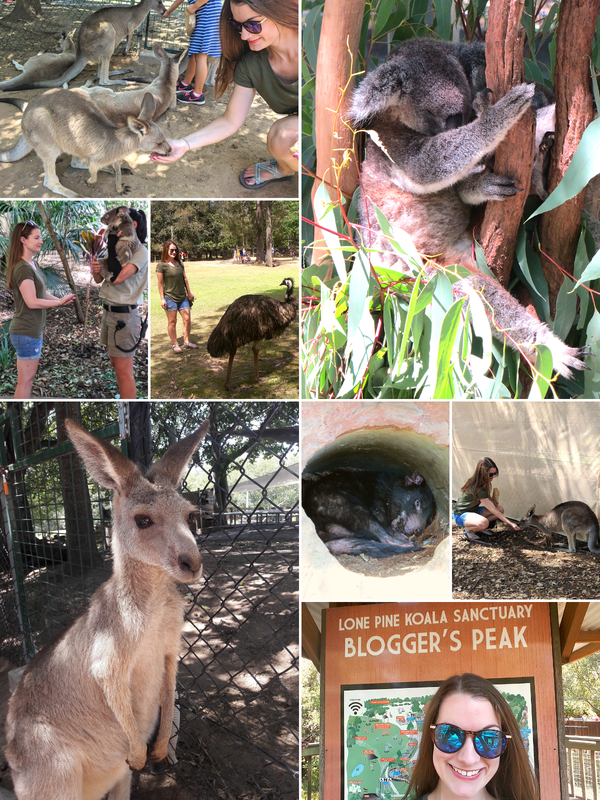 My favorite part of Brisbane was getting to visit the Lone Pine Koala Sanctuary. I’ve spent years admiring adorable photos of fans and Hanson holding koalas, so it felt like a must-do when I finally made the trip for myself. What I didn’t realize while seeing all of those photos is that there are actually very strict laws and rules surrounding handling koalas. I’ve read mixed results on which Australian states allow members of the public to hold them, but it is illegal in most; Queensland is one of the few exceptions. Even then, they can only be handled for a maximum of 30 minutes (consecutive or otherwise) per day, and staff seemed very well trained and perceptive to the koalas’ willingness to engage. If one seemed uncooperative or not into being held, it was immediately taken back to the exhibit and replaced with another rather than being coaxed into working longer. Each one had a handler at all times standing just outside of the frame of photos, and we were shown a specific way to stand and hold our hands in order to safely hold the koala. It was a neat experience and one I’m grateful that I was able to do considering how high the demand was and the limited amount of time the koalas are allowed to work each day. I’m happy to say the longest I waited in any line during the Australian tour was the line to hold a koala, and it felt like time well-spent. Though it is a koala sanctuary in name, Lone Pine is also home to several other species including kangaroos, platypuses, dingos, crocodiles, wombats, Tasmanian devils, snakes, emus, and several species of birds. We were able to feed kangaroos in a petting-zoo style setting, and they were calm and clearly used to human interaction and the not-so-subtle stomping and running of happy children (there were a few intimidating emus walking around too, but they were giving off some major Care of Magical Creatures angry hipogriff vibes, so we kept our distance). I would have liked to spend longer exploring everything, but it was such a hot day that we didn’t stick around more than the hour or two it took to check everything out. I hesitated to leave as I heard they were offering snake photos somewhere as well, but I Googled, decided the results were less impressive than the Britney-style photo I got in Cancun, and retreated to an air-conditioned Uber back to our hotel instead. After it cooled off a bit, we went exploring again and found ourselves at a place called Streets Beach in Southbank just a few blocks down from the QPAC venue. It's a man-made beach right in the heart of the city complete with sand and palm trees, and it looks exactly like a real beach minus the waves if you didn't know you were surrounded by buildings on all sides. I was impressed by how big and clean it was and how many families were taking advantage on a lazy Sunday afternoon. It felt like we stumbled onto a free waterpark that seemed better cared for than any waterpark I’ve ever paid to visit. I imagine a day of playing with animals and then going to the beach is a perfect weekend to any kid. Top it off with a Hanson show, and you can add 30-year-old American to that list. 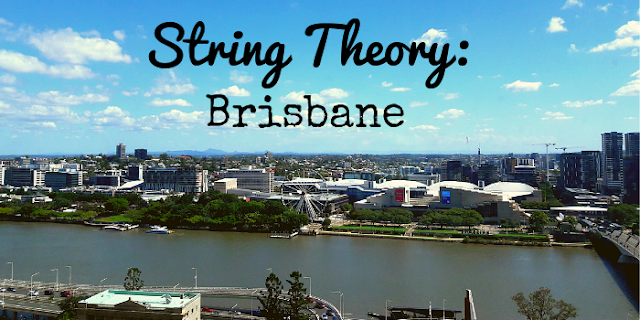 Speaking of zoos, let’s bring this back to the reason I was in Australia—String Theory. I’m kidding, though. We observed our final show from a balcony box near the stage Statler and Waldorf style, but the crowd thankfully gave us little to heckle and even the stage rushing at the end seemed more tame than the previous two shows. I had zero complaints for Hanson, though maybe I should deduct a few points overall because nobody tried to bring me ice cream this time. I really didn’t expect an encore, so I was happily surprised when they broke out “Change In My Life” a cappella at the end. The crowd got really into clapping along and stayed on beat, but some didn't quite get Taylor's "cut" motion at the end which was kind of funny and led him to give us a "shh" finger motion, too. 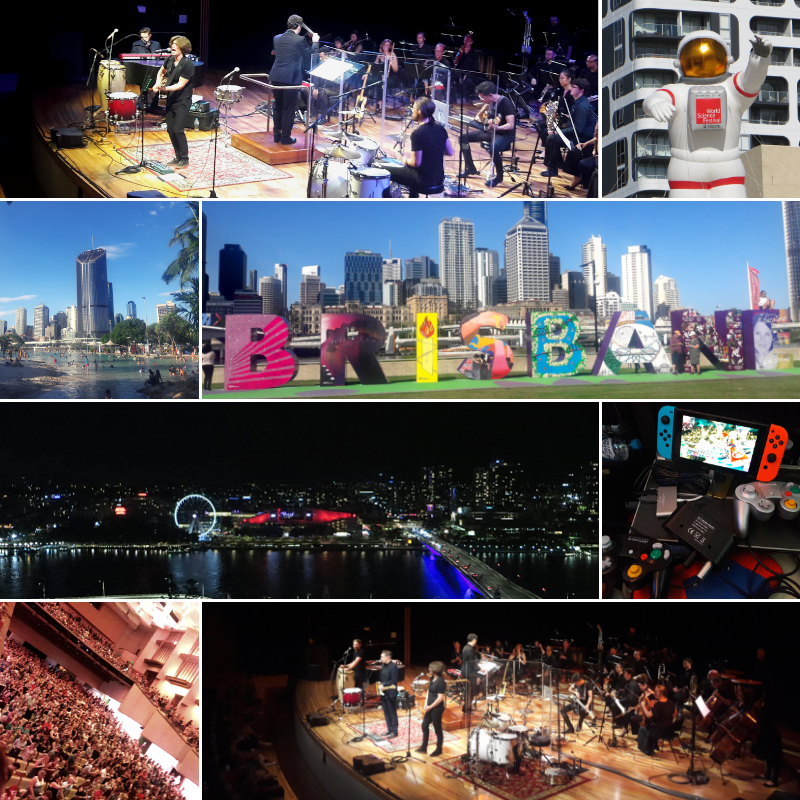 It was a great way to end the show, the Australian tour, and the String Theory World Tour as a whole now that only a few one-off shows are left. I can complain about crowd behaviors and mean every word of it, but the truth is I've also enjoyed this tour very much, and I'm sure I'll be reminiscing about the good old days of seated shows, no openers, and no lines soon enough. The night skyline view from our hotel room after the show was spectacular without ever leaving the bed. We chose the unusual route of going with more of a budget hotel but then "splurging" on the nicest room they had. I loved it, and I think we were happier there than we would have been in a basic room in a more expensive hotel (think still less than a night at the Fairfield in Tulsa). We ended up with a corner room on the 19th floor with floor to ceiling glass walls and a stunning view of the city. It made for a bittersweet backdrop as we packed our things for the long journey back home. The flight back to L.A. from Brisbane was only about 13 hours as opposed to the 16+ it took us to get to Melbourne. Pair that with the fact that I actually slept this time, and it really didn't feel that long. We managed to kill the little bit of time we were awake playing Mario Kart, and I have to say there was some nerdy satisfaction in getting to use a Gamecube controller that I've owned for longer than I've been following Hanson thanks to a portable adapter. Amazingly, none of my flights got delayed or canceled, and though I had to run between terminals at LAX not once, but twice because the AA app told me the wrong gate, I didn't have any major flight issues for a change. I did come home to a news story that there was a confirmed case of the measles through LAX about two days before we were there, so shoutout to the public school system for making sure I got vaccinated for that years ago. Instead, I'm coming home with a heightened case of wanderlust and not a single trace of FOMO. This might have felt like a once-in-a-lifetime trip and I'm sure it did carry some singularly epic moments, but I know better than to make any bold statements about never doing it again. I hope I'll get to go back someday, but I also hope I get to see many other new places before I return. 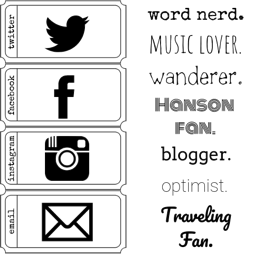 So what's next on my list of top places I'd like to travel? Let's just say I wouldn't be disappointed if BTTI ever made an unexpected move to an island in Greece just once. My airmiles are ready.